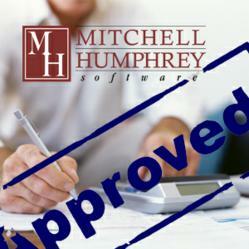 Mitchell Humphrey & Co., a provider of software solutions and services to the public sector for over 34 years, has recently announced the release of ASK FMS 2011. ASK FMS 2011 is a cutting edge computer software reporting tool for business and government financial management. It is directly designed to generate reports by automatically linking related tables within document systems such as Accounts Payable, Accounts Receivables, Purchase Orders, Inventory, and Fixed Assets. Mitchell Humphrey’s ASK FMS 2011 has several built-in features to make reporting easier than ever and is now supported on Windows 7. The tool allows casual users to write their own reports without requiring IT assistance or assistance from Mitchell Humphrey. ASK FMS 2011 saves businesses and governments time and money because it can generate a written report within ten minutes verses several hours using Crystal Reports or built-in report writer tools. In addition, ASK FMS has all tables linked so the end-user does not have to build links to tables they wish to report on like they would with Crystal Reports. Users can define their own templates and dashboards through a set of Chart Reports displayed on their desktop. In addition, multiple users can run multiple reports via their desktops, with real-time data at the exact same time and all frequently used reports can be created as desktop shortcuts. Many say the best features are the calculated fields, scheduling of reports, and effortless export to MS Excel, MS Word, and PDF. This easy-to-use tool allows users to create formulas, pull percentage totals, and output numeric values rather than text. “ASK FMS 2011 has been a tremendous resource for us. It allows end-users to create their own reports and reduces the workload of our IT technical staff. We really like the formula feature because it allows us to create calculated fields based on existing fields from the tables in our FMS database. These calculated fields are also available in any additional reports that we create accessing the table we created the calculated fields from,” explained Mike McLellan, Senior IS Financial Analyst at the City of Winston-Salem. “I have been using FMS for four years now. FMS allows us to seamlessly interface with our state-mandated system and is easy for our staff to use in their daily tasks. We would recommend Mitchell Humphrey to other entities that are looking for a more powerful software solution that is customizable for their individual needs,” stated Tracy Morrison, Finance Director of the Virginia Department of Veterans Services. Since 1977, Mitchell Humphrey has been providing computer software and services to clients in both the public and private sectors. Their complete line of software products are completely designed and supported by their own team of CPAs, business specialists, and IT professionals. Today, clients across North America benefit from our solutions in citizen services, accounting, financial management, human resources/payroll, community development, and cashiering. Learn more about Mitchell Humphrey by visiting their web sites at http://www.mitchellhumphrey.com and/or http://www.fasttrackgov.com. Schedule a complimentary on-line demonstration or web-based learning session on the new features of ASK FMS 2011 or find out more information about Mitchell Humphrey’s software solutions by requesting a quote. When the results are displayed on the Inquiry Results screen, click on the topmost, leftmost cell of the results to highlight all of the cells. This will darken all of the cells. Open MS Excel and start a new file. Click in the spreadsheet where you want to insert your data from the inquiry, then right-click and choose Paste. Now you have your inquiry results in a spreadsheet! FastTrackGov found an article posted on the Governing website entitled “5 Great Cost Savings Ideas.” The article discusses five innovative ways beyond the traditional belt tightening and tax increases that local governments can and should consider in their efforts to save money.